Car registration numbers with the private or personal touch are the 'must have' motor accessory of the new millenium! Plates4less VRM Swansea has supplied private car registrations to the public and the motor trade for many years. 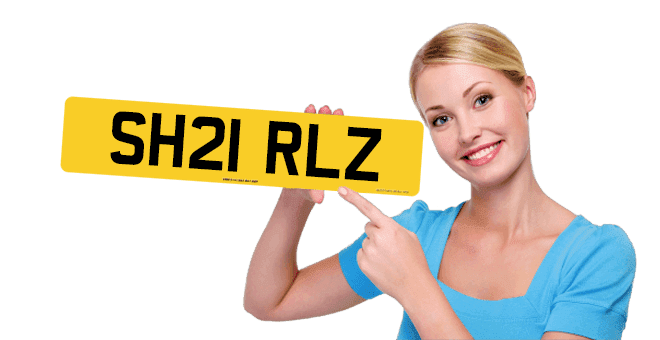 In fact we have access to nearly every car registration on the open market with over 27 million personal car registration numbers for sale on this number plates website alone. We also have approximately 20 million other registrations not included in our online number plates databse so we can offer you the largest choice to choose from. By using your direct internet connection to our offices here in Swansea, our stock of eye-catching, yet highly affordable plates has never been easier to access and view! We have developed our car registrations search areas from many years of feedback and they are some of the simplest to use in the business! You may already have some ideas for your private car registration in mind, be it your name, your initials, your date of birth or a word or phrase that is special to you. But where on earth do you begin? We here at VRM Swansea, Plates4less, have spoken to many people just like you over many years (before the internet) and developed lots of different ways to give you free expert advice and make your search easier and more fun as a result. We’ve come up with lots of ideas and suggestions which you can see by clicking here or just use the "Find Number Plates" link at the top of this page to access our many and varied number plates search tools. Car registration numbers are definitely here to stay as they are the Government's unique way of quickly identifying your vehicle. Did you know that statistically your car is less likely to be stolen if it is carrying private car registration numbers? Just think about it for a moment.. personal registrations are usually quite short and certainly very distinctive. They get recognised quickly and easily and most importantly they are usually much easier to remember than a standard car registration number! Would you steal a car with a registration number that is easy to recognise (if you'd seen it before) and remember? No I didn't think so, not if you have the choice of any number of similar cars with ordinary plates! If you know what you want but are still having trouble finding it then you can click the following blue link to use our car registrations plates search assistance page to make your dream plates and send us your enquiry.